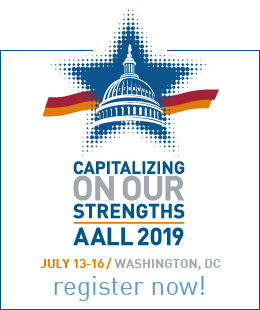 The 2019 AALL Annual Meeting & Conference will be held in Washington, DC, July 13-16. It is the premier educational and networking event for legal information professionals. Join law librarians from across the country for educational opportunities, abundant networking opportunities, and the chance to learn what your colleagues are doing in their law libraries. 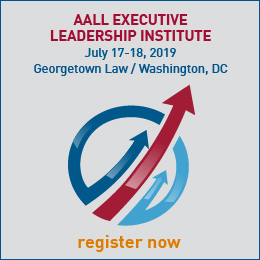 Book your housing now at https://www.aallnet.org/conference/register/housing/.